Saxophone is another one of the instruments that Brandon is learning in college. 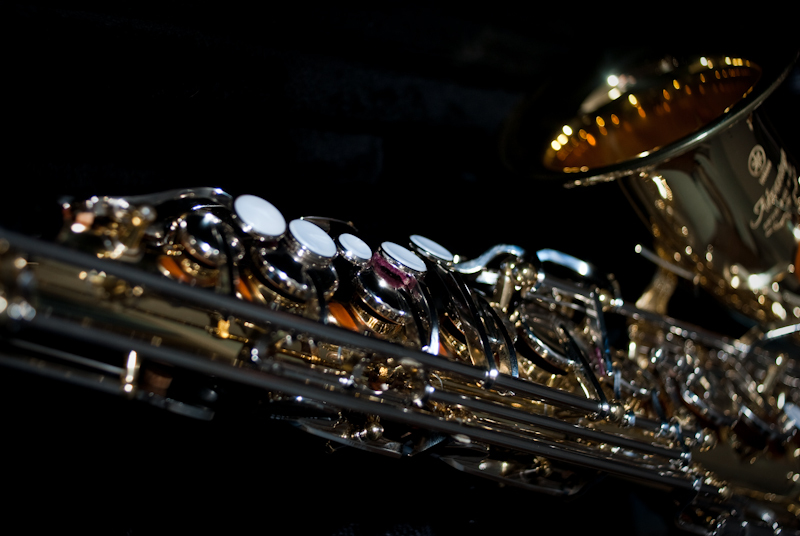 I really like the opportunity to photograph the different instruments. Once Brandon has his office as a band director, maybe he will want to frame some of these for his wall.